RAPID CITY, S.D. 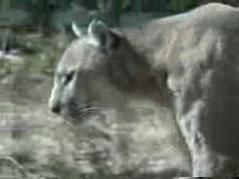 - South Dakota officials say the mountain lion hunting season has ended with lowest number of animals taken in 10 years. This year's harvest number follows back-to-back seasons where fewer than 35 lions were taken and continues a downward trend since the 2012-2013 season when 56 lions were killed.